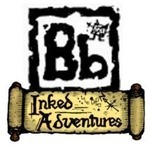 Although not published directly by Inked Adventures this pack was a collaboration between myself and uber ideas man Will Pfaff at Escape Velocity Gaming. 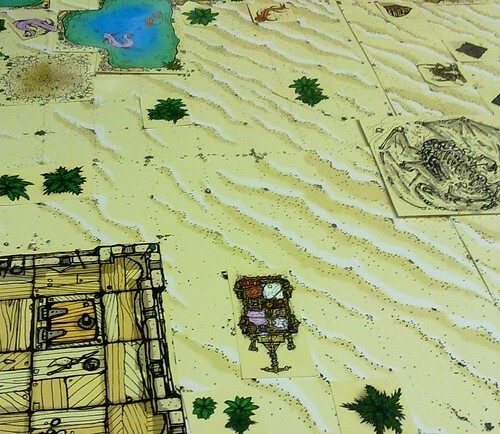 It was felt that this would be an ideal set for gamings in the grip of Dark Sun style desert fever. It was actually quite a challenge but Will P basically said the types of things he wanted and provide system free adventure hooks with the pack. Everything is hand-drawn with ink pens and then coloured on the computer. Currently on offer at £1.99. The subtle grid system is excellent! A fantastic and timely product! Kudos!